In this article, you will learn 6 methods to fix LG G3 won't turn on. Whether this issue can be fixed, don't forget to rescue data from a dead LG. Just like any other LG phone, LG G3 is also a value for money product, offering excellent features in a durable hardware which is completely in sync with the Android software. However, there is a little glitch with this phone, i.e., sometimes, LG G3 won't turn on completely, remain stuck at the LG logo like a dead or frozen phone and LG G3 owners are frequently heard complaining about this issue on their phone. The LG G3 won't boot error may seem very confusing because LG phones have a good build quality and amazing Android support. In such a scenario when an LG G3 won't turn on, it becomes a cause of worry for many users. 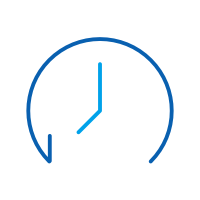 It can also be very annoying for a user, given that we are heavily dependent on our smartphones and being bogged down with such a problem is not an ideal situation. Thus, we understand the discomfort you must be facing whenever you say that my LG G3 won't turn on completely or won't boot normally. So here we are with the required solutions for you. Part 1: What might cause LG G3 doesn't turn on? 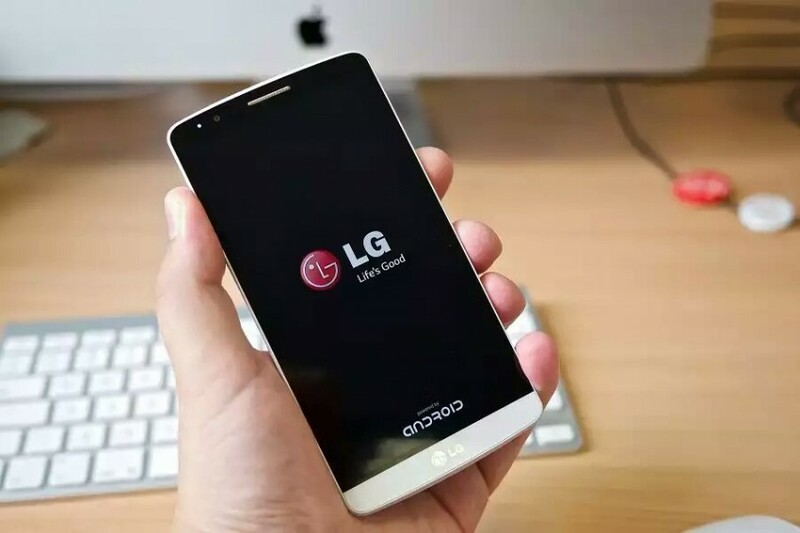 Part 4: How to force restart LG G3 to fix G3 won't turn on issue? Part 5: How to use Android Repair Tool to fix G3 won't turn on issue? No machine/electronic device/gadget works without a few glitches here and there, but this does not mean that the shortcomings cannot be fixed. So, next time when you tell somebody that my LG G3 won't turn on, remember that it is only a temporary error and can be resolved by you easily. It is indeed a myth that LG G3 won't turn on because of a virus attack or a malware issue. Rather, it is a minor glitch which may be caused due to a software update being carried out in the background. 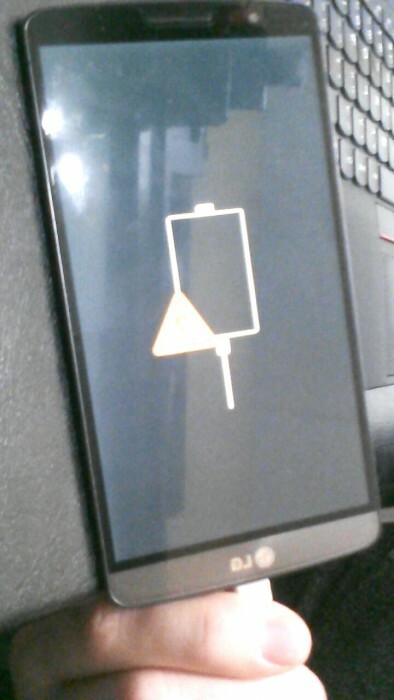 Another reason why LG G3 won't turn on could because the phone might have run out of charge. There are many operations that take place on a phone on a daily basis. Some of these are initiated by us and others take place themselves, given the advanced features in the latest Android versions. Such background tasks also lead to similar errors. Again, a temporary software crash or issues with the ROM, system files, etc are also to be blamed for this persistent issue with the LG G3 device. Do keep these points in mind the next time you find yourself wondering why my LG G3 won't turn on. Let us now move on to the fixes for your problem. If your LG G3 won't turn on no matter how many times you try, DO NOT panic. Read the tips given below and follow the technique that best suits your LG phone’s condition. Part 2: Check whether it is a charging problem. If your LG G3 won't turn on, do not immediately go to the troubleshooting solutions because there are easier fixes available for the same problem. 1. 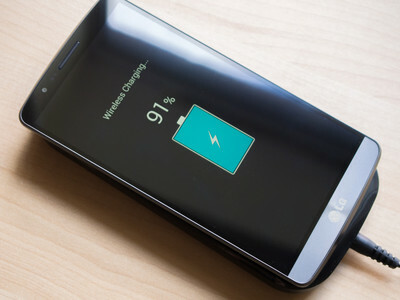 First and foremost, make sure you check whether or not your LG G3 is responding to charge. To do so, just plug it into a wall socket to charge it. Note: Use the original LG charger which came along with your device. 2. Now, leave the phone on charge for at least half an hour. 3. Finally, if your LG G3 responds to charge and turns on normally, eliminate the risk of your charger or charging port being corrupted. Also, LG G3’s software responding to charge is a positive sign. If you see that it doesn't work, try to charge it with a different charger suitable for your phone and then try to turn it back on after a few minutes. This method is helpful when your phone's battery drains out because of which you may say my LG G3 won't turn on. Part 3: Check whether it is a battery problem. 1. At first, remove the battery from your LG G3 and put the phone on charge for 10-15 minutes. 2. Now try to start the phone, with the battery still out. 3. If the phone starts and boots up normally, there is a chance that you have a dead battery causing the problem. In such a scenario, you must switch the device off, let the battery be out and remove the phone from the charge. Then press the power button for about 15-20 seconds to drain the leftover charge. 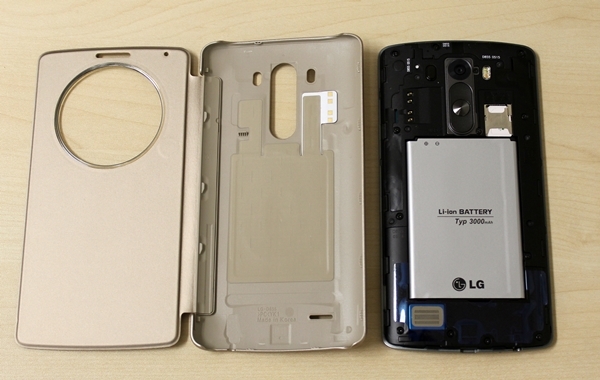 Lastly, insert a new battery and try to turn on your LG G3 phone. This should solve the problem if it is caused by a dead battery. Now if you encounter my LG G3 won't turn on the problem and have already checked its charger and battery, here is what you can try next. 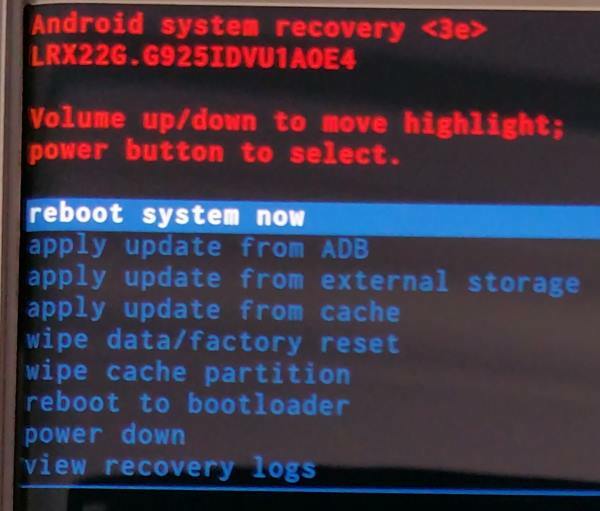 Boot your LG G3 straight to Recovery Mode and force restart it. This sounds complicated but extremely easy to implement. 1. First of all, press the power and volume down button at the back of the phone until you see the Recovery screen. 2. Once you are on the recovery screen, select the first option using the power key which says “Reboot system now”. This might take a while but once done, your phone will start normally and take you directly to the Home Screen or Locked Screen. Note: This technique helps 9 out of 10 times. It seems somehow complicated for a greenhand to force restart the G3, do not worry, today we've got dr.fone - Repair (Android), the world's first Android repair tool to fix Android system with just one click. Even Android greenhands can operate without any hassle. Note: Android repair may wipe out existing Android data. Remember to Back up your Android data before going on. One click for Android repair. No technicals skills required. Step-by-step instructions provided. Friendly UI. What you need to do is to follow these simple steps. Download and install the dr.fone tool. Then select "Repair" from the main window. 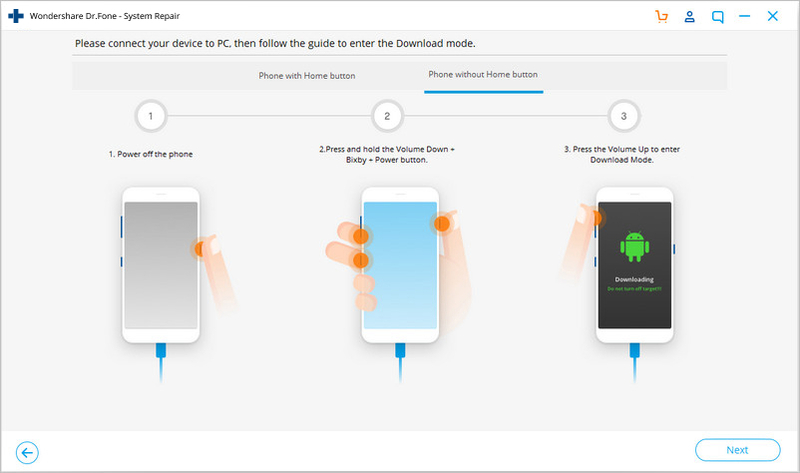 Connect your Android device to the PC. 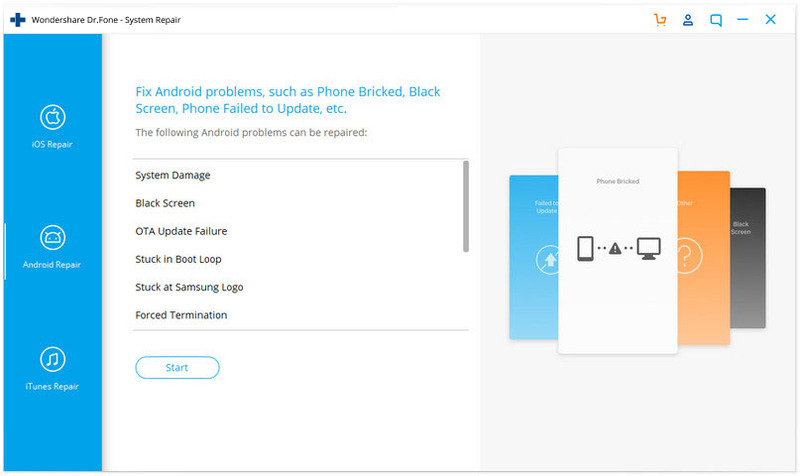 After the device is detected, select the "Android Repair" tab. 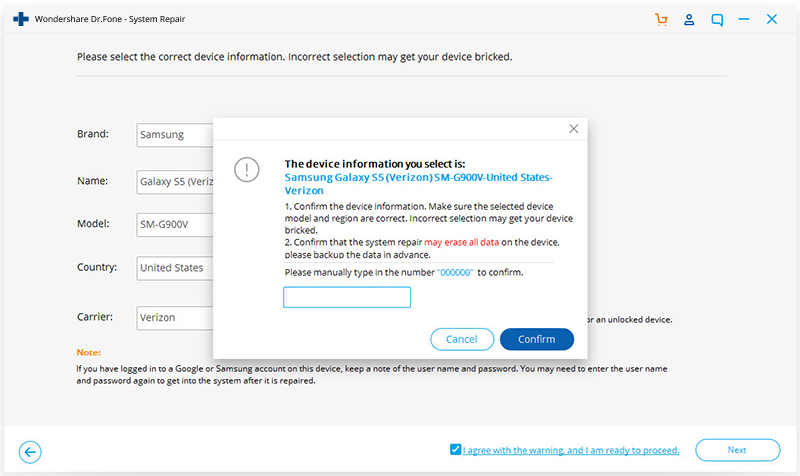 Select and confirm the correct device details of your Android. Then click "Next". Boot your Android device in download mode and proceed. 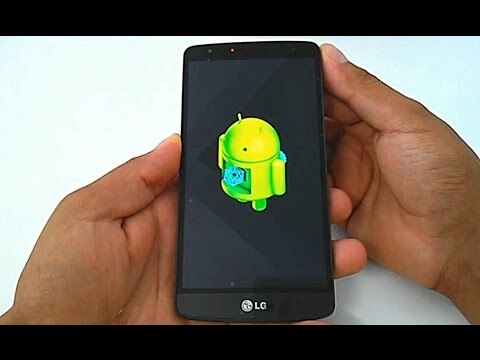 After a while, you Android will be repaired with "lg g3 won't turn on" error fixed. Here is the final solution, in case you are not successful in turning your LG G3 back on. Factory reset or hard reset is a tedious process. 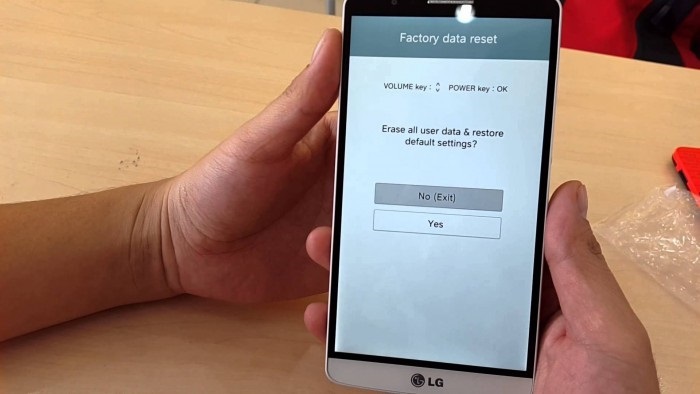 Nonetheless, this method is known to solve the LG G3 won't turn on error completely. Note: Please backup your data on lg before starting this process. Then follow the instrucitons below to factory reset LG G3. Step 1: Press the volume down key and power button together till you see the LG logo. Step 2: Now gently leave the power button for a second and press it again. Make sure to continue pressing the volume down button all this while. 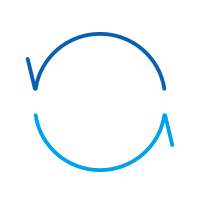 In this step, when you see a factory data reset window, leave both the buttons. Step 3: Scroll down using the volume down key to select "Yes" and tap on it by pressing the power button. There it is, you have successfully hard reset your phone, now wait and let the process finish to automatically reboot your device. 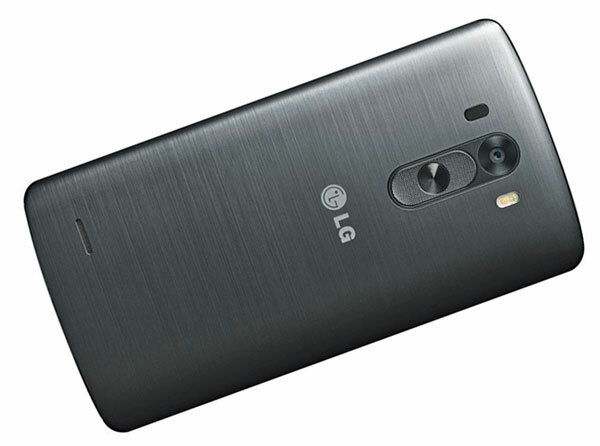 Thus, before taking your LG G3 to a technician, you must try these remedies at home. I am sure they will resolve the LG G3 won't turn on issue. 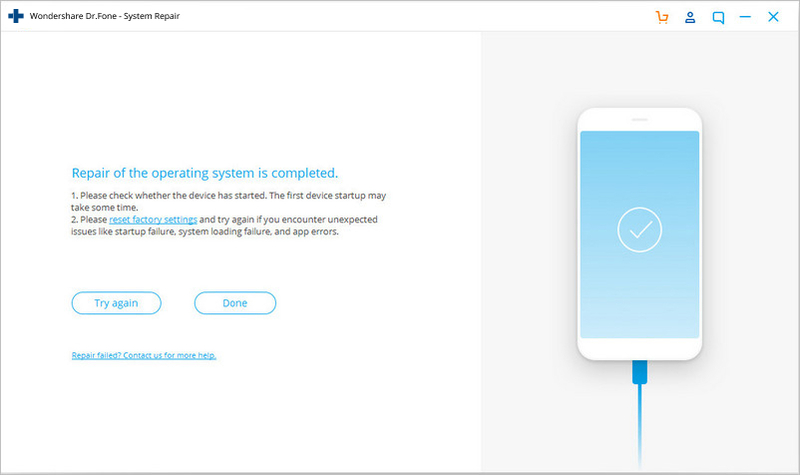 Unable to use an App/Apps due to unfortunately App has stopped error?Here is all you need to know about why your App suddenly stops and ways to fix it.